It’s been quiet here for the last couple of weeks, but I finished the draft to Debts of My Fathers. I put in the last word Friday the 16th and went out to celebrate. Then came family, holidays, and so forth, so I decided to take a week off from all writing tasks, both fiction and blogging. The novel itself is my longest draft so far, coming in at 99,269 words. Previous first drafts have come in around 75-80,000 and then stretched towards 90,000 during edits. This one is probably going to need to be cut some through tighter writing simply because even now I realize there a few more scenes that need to be added along the way. The irony is that at the beginning of Act 3, I was worried that it was going to come in short at 65-70,000 words. Mostly that fear came from the no-outline vision of the climax I had in my mind, i.e. they get into this predicament and then with a little trickery, they get out of it. In the end, the trickery became… well, involved. It is the sixth novel I’ve started and the fourth I’ve completed. (The first two unfinished novels are old and unlikely to see the light of day again.) I wrote it in five and half months, which is about the middle of the road for me so far. The others took three years, one year, and two months. I did the bulk of the work in June and the first part of July, and then I struggled over the next fourth months finishing it off. In retrospect, there are a couple of things I would have done differently schedule-wise, but I’m learning as I go. It’s also the first completed draft I’ve done that was not a NaNoWriMo attempt. But for now, it’s done. I’ll probably print a review copy in the next week or two, and then that will sit on my shelf for a few months while I get some distance from it. 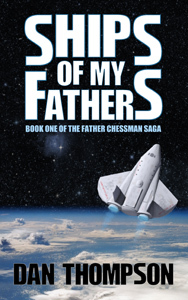 In the meantime, I will be returning to do the next edit pass on Ships of My Fathers. 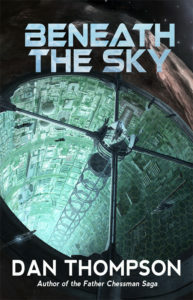 I’ll have to see how I feel at the end of it to decide whether it needs another beta reading or if it’s ready to go into the polish and proofreading stage. 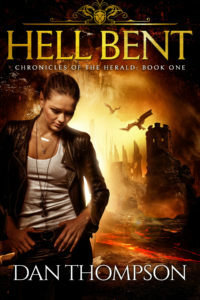 Next I’ll do the edits to Hell Bent, my urban fantasy set in a cross-dimensional Pittsburgh. I wrote that one back in 2010-11, and it was a lot of fun. It’s a completely different setting, and I wrote it in first person. It’s a little on the short side at 71,000 words, but I know it’s going to grow about 10-15,000 words during the edit pass. 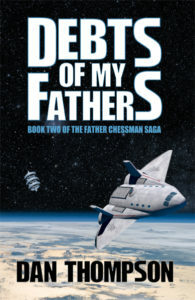 Once I get that off to my beta readers, it will either be back to polishing Ships of My Fathers or diving into the sequel to Hell Bent. I’ll just have to see where I am by then. Right now I don’t have a clear vision of how that sequel ends, and I can’t really start until I know where I’m going. Failing that, I’m still toying with the idea of writing a vanilla-world mystery for my mother. The blog should return to something like its regular schedule, and I’ll probably have two Jim Butcher reviews up before the end of the year. I recently finished the second book in his Furies series, and the next installment of the Dresden Files comes out tomorrow. I had been dreading reading that one in hardcover, but it looks like my new Kindle jumped ahead in the production queue and shipped this morning. What about the rest of you? I know many of you were doing NaNoWriMo this year. How did that go?